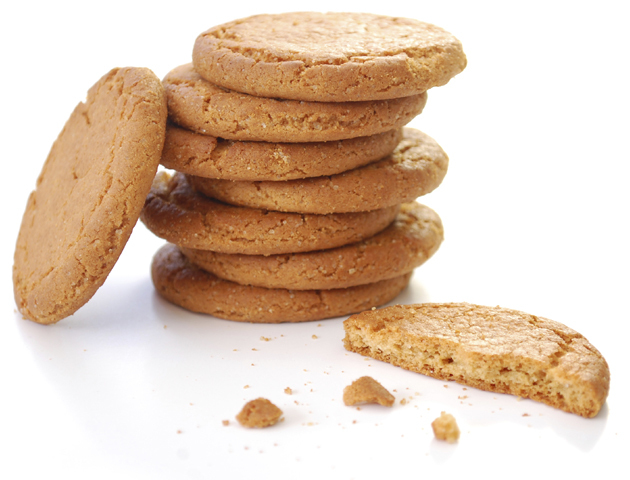 How did your favourite biscuit get its name? These oat and coconut biscuits are named after the Australian and New Zealand troops in World War 1. 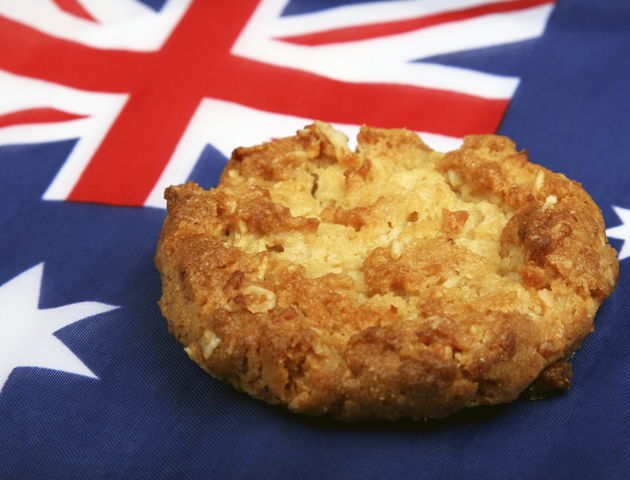 Women in both countries sent hard, long-keeping biscuits to the troops which were known as Soldiers’ Biscuits, but after the Gallipoli landings in 1915, they became known as Anzac Biscuits. No, they don’t contain bourbon whisky! When these chocolate sandwich biscuits were first made in 1910, they were called ‘Creola’. But the name was changed to Bourbon, in honour of the French royal family. How do you eat yours? Nibble off the top layer, lick the cream, then eat what’s left? Yes, so do we! 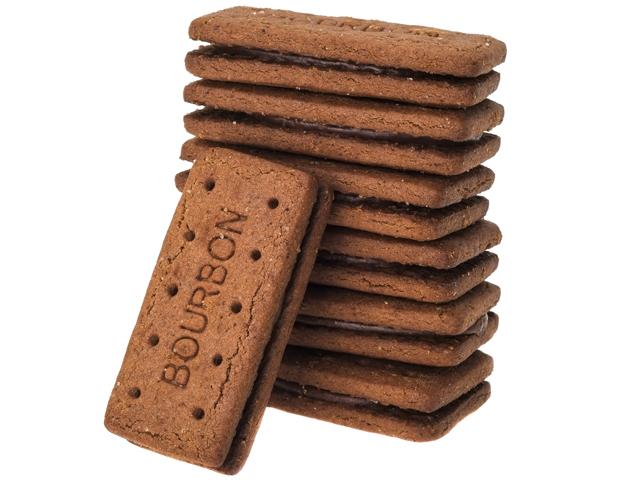 The Bourbon is the fifth most popular biscuit for dunking! 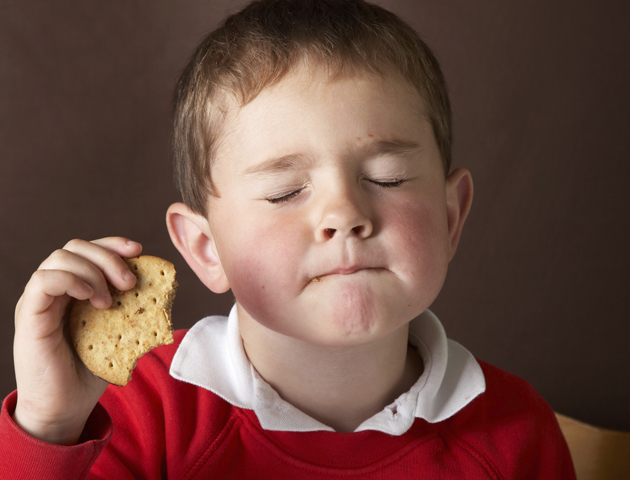 It was also the first biscuit to be eaten on the moon… by Buzz Aldrin. No mystery over this name, as these sandwich biscuits have a vanilla custard-flavoured filling. Made for over 100 years, the swirly baroque designed harks back to Victorian times. It’s the favourite biscuit of nine out of ten Brits. 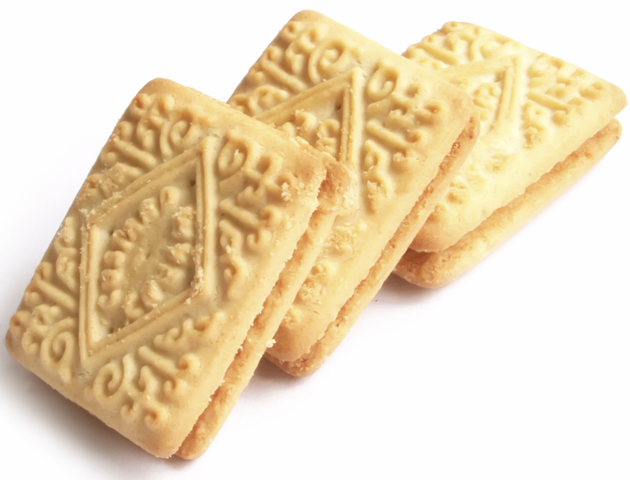 The largest Guinness-certified custard cream in the world was baked in 2010 in Nottingham.  It weighed 15.73kg and measured 59cm long, 39cm wide, and 6.5cm thick. Because they were made with baking soda, it was thought that they would help with digestion, hence the name. Created in 1839, we had to wait until 1925 for the choc-covered version! 71 million packets of Digestives are sold every year in the UK. That’s 52 scoffed every second! 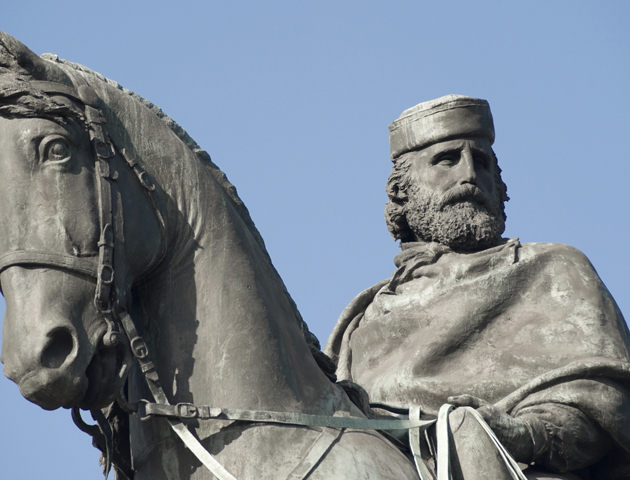 These currant sandwich biscuits (AKA squashed-fly biscuits), are named after Guiseppe Garibaldi, an Italian general, who visited South Shields in 1854. His namesake biscuits started being made in 1861. Ginger Nuts were created in 1850. Flavoured with ginger, cinnamon and nutmeg, it’s thought they are called nuts simply because they are so hard! McVitie’s Ginger Nut machine makes 285,600 an hour! Jaffa because they’re orange flavoured – and cakes because they have that sponge layer – and yes they really are cakes! Why? Because like all cakes, they go hard when stale, while biscuits go soft when past their prime! But we love ‘em with a cuppa, so for the sake of argument, we’re included them as a biscuit! 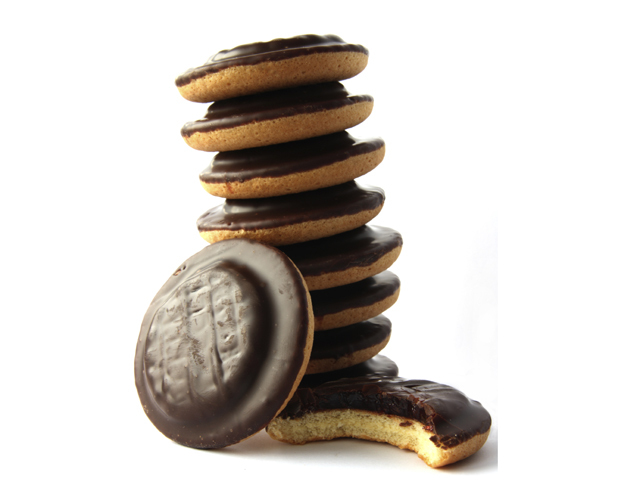 McVitie’s makes their Jaffa Cakes in a factory spanning an acre and the cakes travel a production line over a mile in length! Over one billion are eaten every year. Laid end to end, you could create a bridge of Jaffas from London to Sydney and back again. 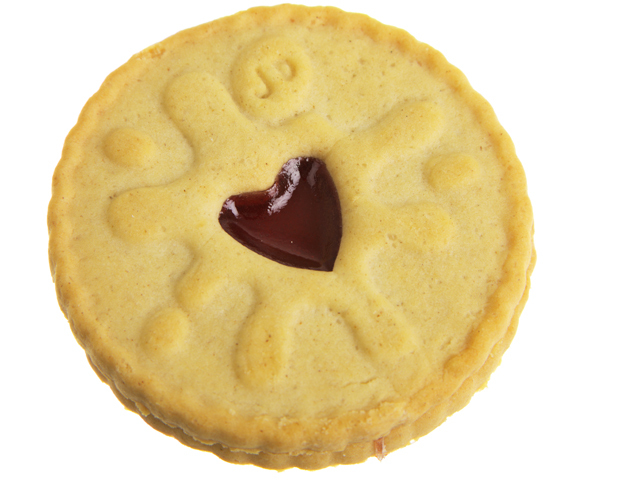 Named after the Beano comic’s character Roger the Dodger, two shortbread biscuits are sandwiched together with jam and a heart-shaped cutout in the top layer. In Doctor Who, Jammy Dodgers were The Doctor’s favourite snack (when played by Matt Smith). 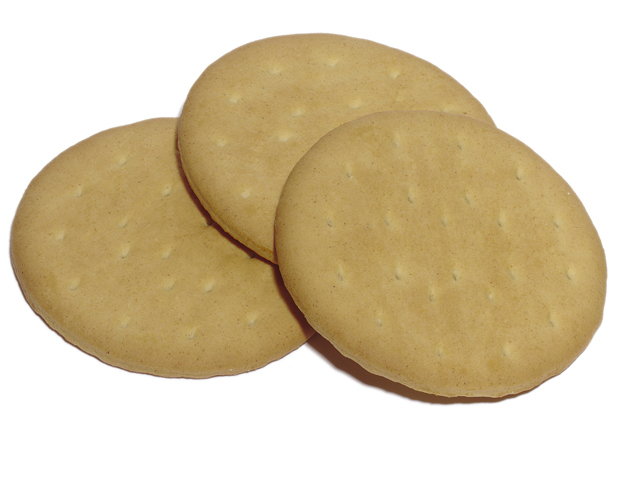 Developed in 1627 in Yorkshire as a snack for the upper classes, they were called Tea Biscuits until the 1950s. But, so the story goes, when McVitie’s wanted to rebrand, one of its employees from the Caribbean came up with ‘rich’ as back at home only rich people dunked their tea biscuits. McVitie’s make 27 million Rich Tea biscuits every day! Comedian Peter Kay called them ‘one-dips’ because the thin biscuit crumbles easily when dunked in tea. Prince William’s groom’s cake at his wedding reception in 2011 was made from 1,700 McVitie’s Rich Tea biscuits and 17kg of chocolate.